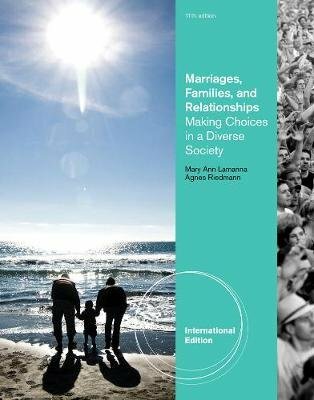 This bestselling marriage and family text combines a rigorous scholarly and applied approach with a unique theme especially relevant to today's dynamic global environment: "Making choices in a diverse society." The text achieves an excellent balance between the sociological and ecological or family systems theoretical perspectives, while including extensive coverage of family dynamics and interpersonal relationships. The authors use warmth, humor, and an engaging presentation to create a highly readable text that offers insightful perspectives on the diversity of our modern society, including different ethnic traditions and marriage and family alternatives.